When do you say: 'That's not a Buffalo wing!'? I nodded peaceably, but inside I cringed, having stumbled though this particular minefield time and time again since leaving Erie County in the late 1980s to seek my fortune in the newspaper business. Baked, grilled, barbecue-sauced, ordering Buffalo wings outside Buffalo was an express train to sorrow. That was decades ago, but the Hooters flashbacks – complete with breaded wings and a side of ranch – have been more frequent recently. That’s because I’ve been touring wing spots of renown here and cult classics alike in an attempt to compile a definitive guide to the modern era of Buffalo wings. Along the way, as I’ve encountered cooks’ bids for wing fame, I keep coming back to the question: What is a Buffalo wing? Or flip that query over: When do you say “that’s not a Buffalo wing”? Where should we draw the line? 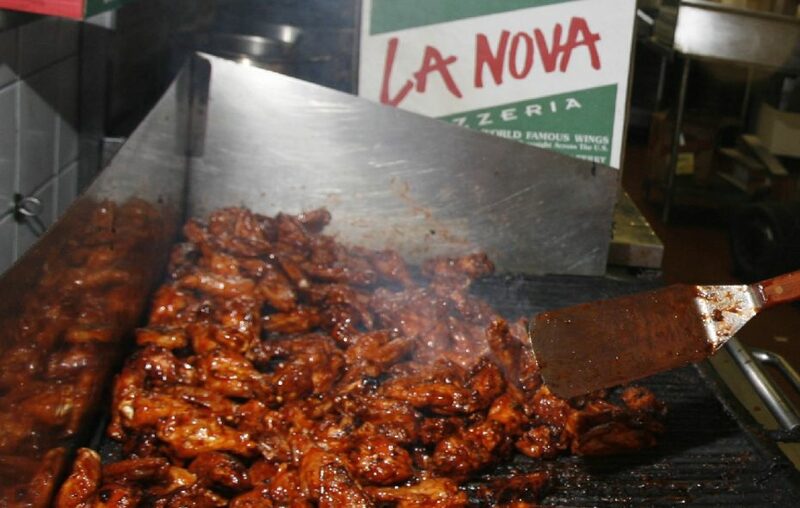 Consider the pit wing, popularized by La Nova Pizzeria, 371 W. Ferry St., starting in the early 1970s. Fried, tossed in a smoky-sweet barbecue sauce, then caramelized and crisped up on a grill, the flavor profile is worlds apart from the spicy tang of the original. Is it a Buffalo wing? Yes. Because the Buffalo wing is more than its sauce. Honor its beginnings, and call the Frank’s versions original style, or regular, and let creativity blossom. Let a hundred flowers bloom, let a hundred schools of thought contend. 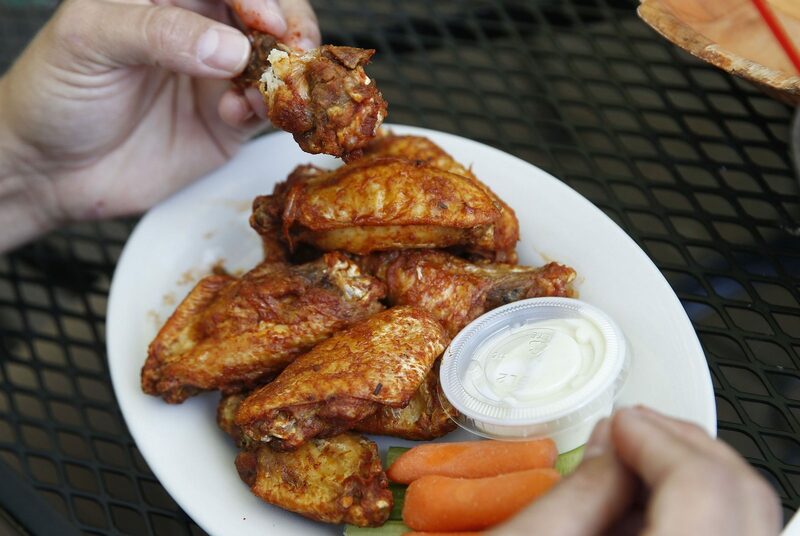 The original wing is not the only wing that deserves to bear the Buffalo moniker. What about the Cajun wing, as in Elmo’s Bar, 2349 Millersport Highway, Getzville, which adds a blizzard of dry spices to fried wings, before a trip on the grill? As Buffalo as snow. 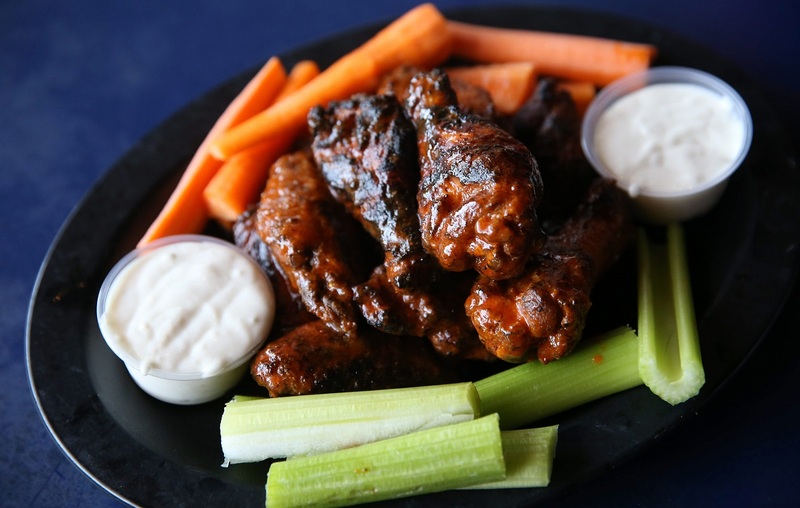 How about unusual spices, like the Ethiopian berbere wings introduced to Buffalo by restaurateur John Rooney, now found at Yelling Goat, 205 Central Ave., Lancaster? 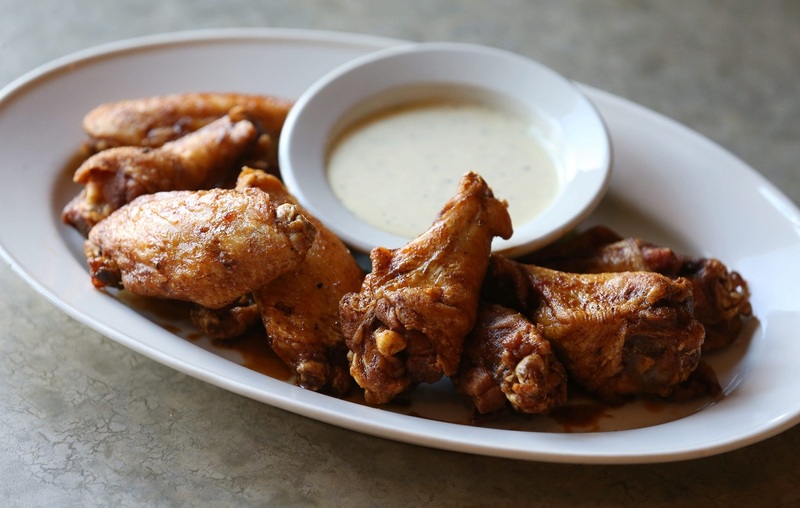 Garlic parmesan, honey mustard, sweet Thai chili, don’t change the base wing equation. Even the are-you-kidding-me flavors are still Buffalo wings. Wing Kings, 484 Elmwood Ave., are the kings of the wacky flavors among places I’ve visited so far, extending into the little-explored territory of dessert wings. S’mores. Nutella. Cap'n Crunch Berry. You know: the kind of wings that would go great with a big, cold glass of milk. So is everything a Buffalo wing? Hell, no. Where the line gets drawn will differ with different palates. I have a friend who is a strict ritualist and rejects La Nova’s place in the Buffalo wing pantheon. We still talk. Occasionally, and not over a plate of wings. While I wouldn’t claim to be the final arbiter, I do have this pulpit. So I would preach thusly: The line should be drawn when the product is mostly something else that already exists. Coated wings may be delicious in their own carb-y way, but they are not Buffalo wings. They are miniature fried chicken samplers with a lot of sauce. Have you ever been to a Hooters? The wings, kept in a single piece instead of being disjointed into drums and flats, were coated in a Franks-like hot sauce – after being breaded fried-chicken style. As any sauce physicist could tell you, this sauce-soaked crust altered the fundamental chicken wing equation. It became a fourth element intruding on the holy trinity of wing nirvana: sauce, crispy golden brown and delicious skin, meat. Furthermore, breading or starch sprays are adulterants, which can camouflage weak wing-cooking skills. You want to make some fried chicken and douse it in sauce? Fantastic. I hear there are places in Nashville that are known for that sort of thing. It’s delicious, spicy, crunchy, and I’ll smite it like a hurricane on a thatched cabana. But I’ll never call it a Buffalo wing.